Tests are evil, let them do projects. That type of rhetoric frequently appears in my Twitter stream. My gut reaction is hell yeah. But some recent quiz results have gotten me thinking …. 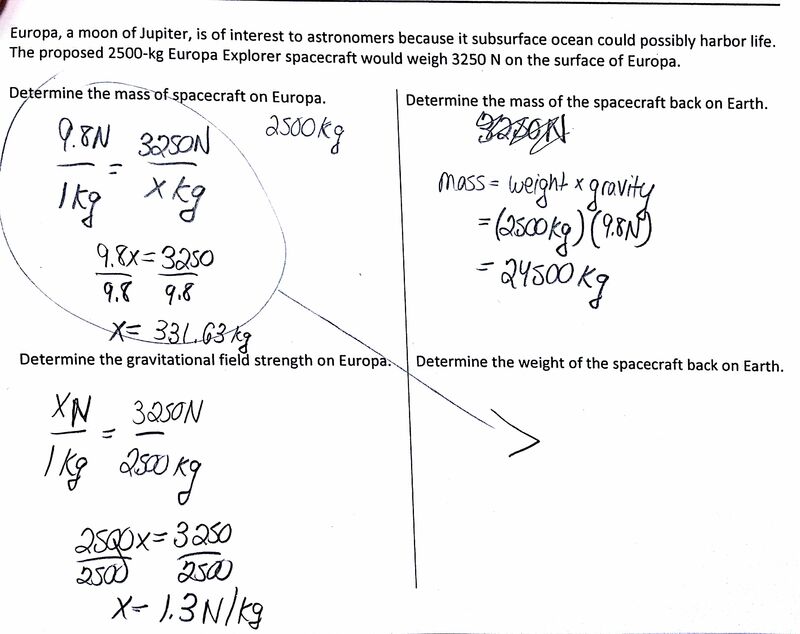 The student understands the difference between mass and weight. Here’s a student project (not mine) which clearly addresses the objective. Here’s another project (also not mine). This one is very creative and totally adorable. 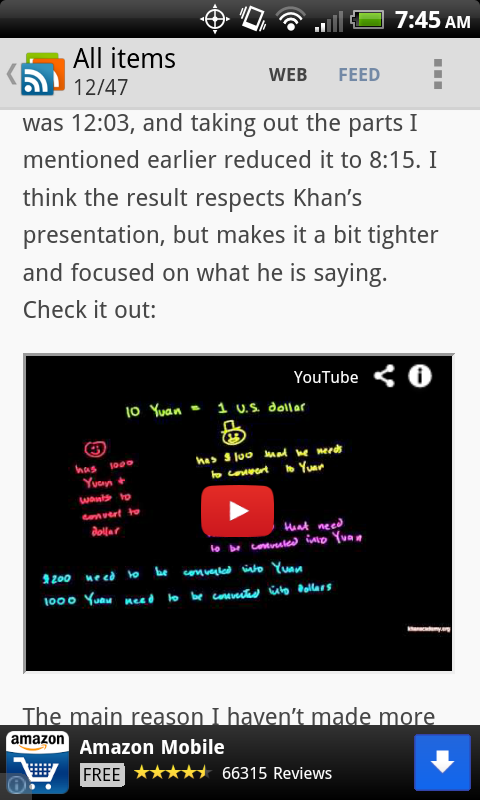 I did find one project where a student (again, not mine) gives a thorough explanation and uses several examples. 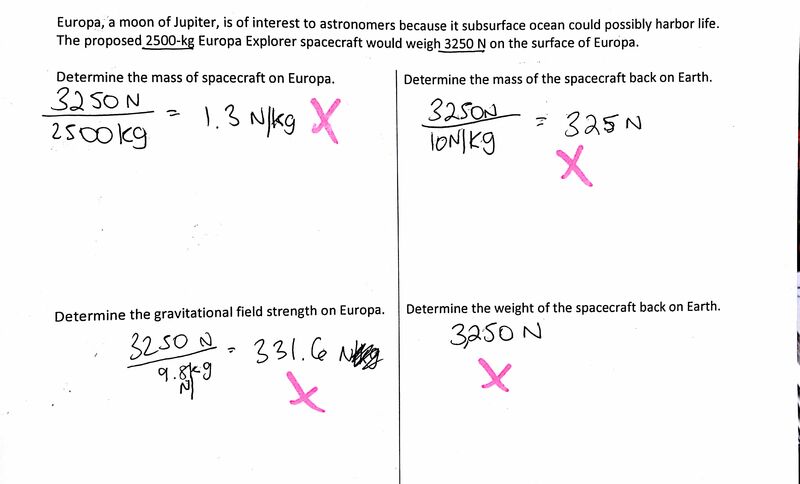 I predict that this student should be able to answer those quiz questions. 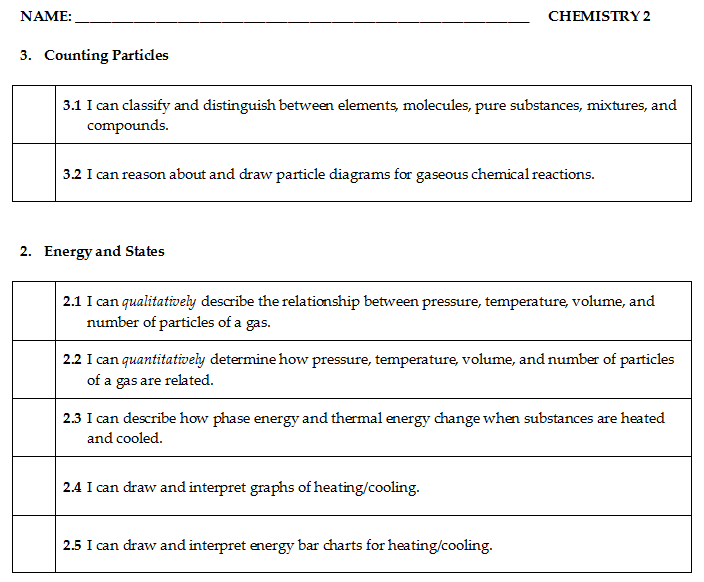 What I’m trying to say is that I feel that teacher-generated questions and experiences (quizzes, labs, whiteboard problems, etc.) are important because they challenge students to think and apply in ways they probably wouldn’t if we just left them to their own devices. But I also get that projects let students be creative and allow them to demonstrate their understanding in ways that quizzes simply can’t. Perhaps the answer is just “all things in moderation.” Or perhaps the project parameters need improvement so students aren’t simply reciting Wikipedia definitions from a Powerpoint? Or something else? 1. It’s not about the technology. It’s about what students are empowered to do because of your technology. Show us how you take students beyond what they could do previously. Show student work (“Hey, look what this kid can do!”). Stop focusing on checkmarks, badges, data, dashboards, and slick UI. 2. Learning is social. Show students interacting with each other, questioning, helping, constructing — all as a result of using your technology. Don’t show kids glued to screens, headphones on, working en masse and in isolation. It’s creepy. 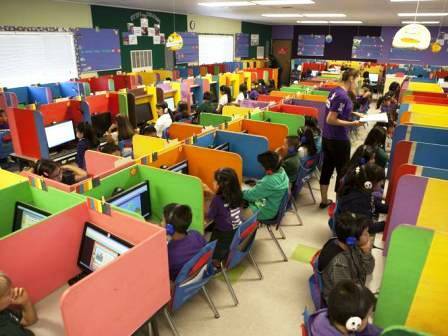 The Learning Lab at a Rocketship school, where students spend 2 hours each day. 3. Don’t use phrases that signal you have simplistic views about teaching and learning. In particular: Learning styles, digital natives, individualized instruction, and content delivery. 4. Practices are equally as important as content. Show how you enable students to engage and grow in the core practices in math, science, and ELA. 6. Run controlled, peer-reviewed experiments that use conceptual diagnostic tests to measure growth. We know most anything works better than (or as well as) passive lecture instruction. But how does implementation of your technology stack up to other evidence-based teaching methods? And be sure to use conceptual diagnostic tests, not final exams or standardized tests or failure rates. CDTs have been painstakingly researched and designed to measure true conceptual understanding rather than algorithm memorization. Without strong evidence, we’re just skeptical of your claims. Hake’s analysis of 62 different physics courses as determined by gain on a physics conceptual diagnostic test. 7. Don’t contradict yourself. Your words should match your actions. 8. Show feedback and testimonials from students. In particular, have students demonstrate their deeper understanding and expert thinking that has been enhanced by using your product. Or perhaps your technology has decreased student anxiety and contributed to a positive classroom climate. However, don’t have students talk about shallow things such as raising grades and doing well on tests. 9. There’s nothing revolutionary about old wine in new bottles. A digital textbook is still a textbook. A video lecture is still a lecture. 10. Read everything Audrey Watters writes. Everything. Do you have any more edtech PR tips to share? Any more examples of bad PR? Any good examples? Thanks! Google Reader will be ending on July 1st. After searching through several apps and services, I’ve finally settled on a few alternatives I like. 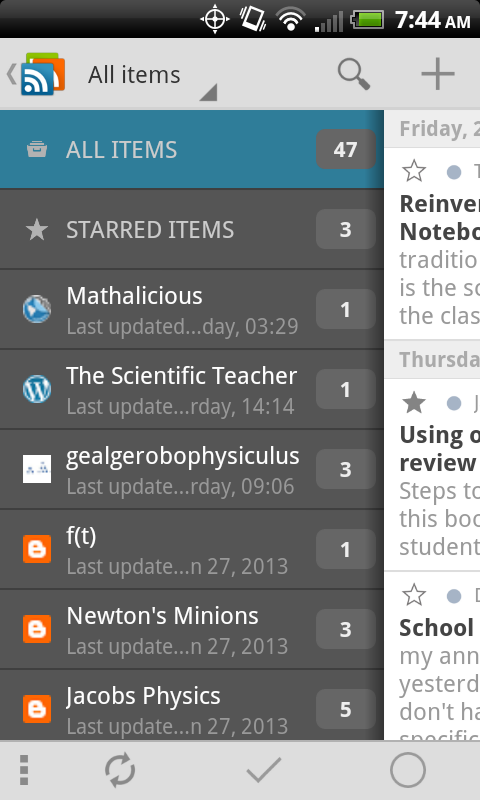 First, I imported my Google Reader feeds to Feedly. 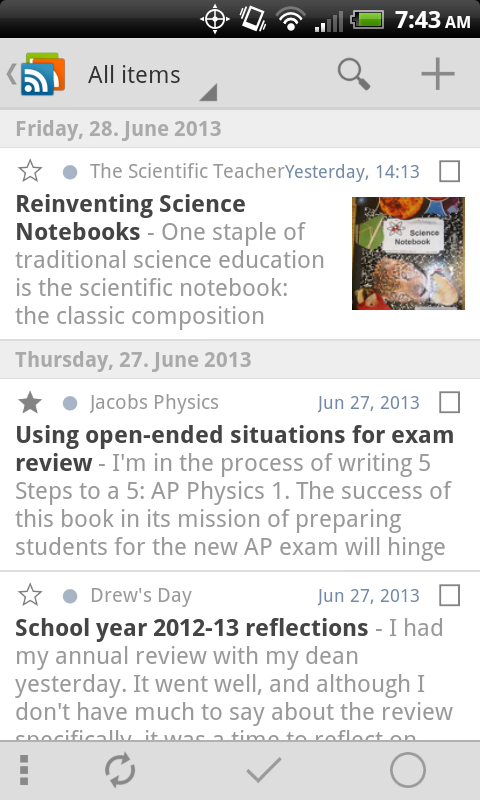 This can be done in just one-click if you allow Feedly access to your Google Reader account. 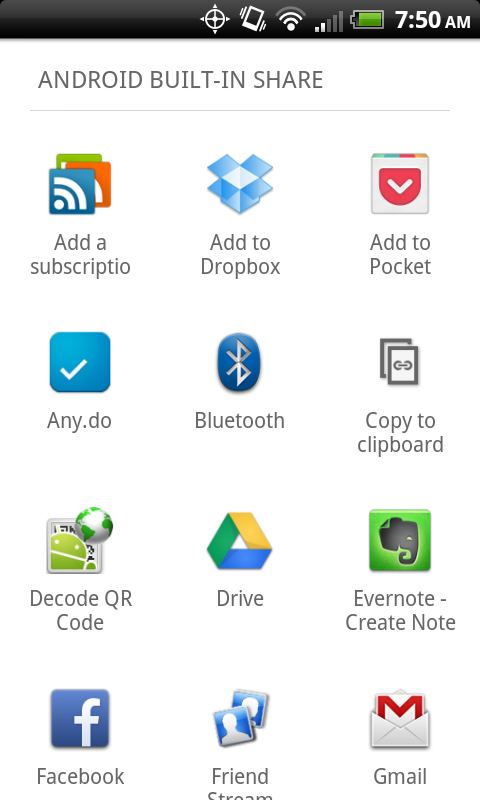 I was having issues with the Feedly Android and iOS apps: My feeds wouldn’t sync. The posts I had read would reappear as unread. The apps also lack the option to star/favorite posts. The Feedly Android and iOS apps do not allow for offline reading. Feedly apps don’t show videos (not even thumbnails) that are embedded in posts. Feedly has corrected this problem. Thanks, @Alby! 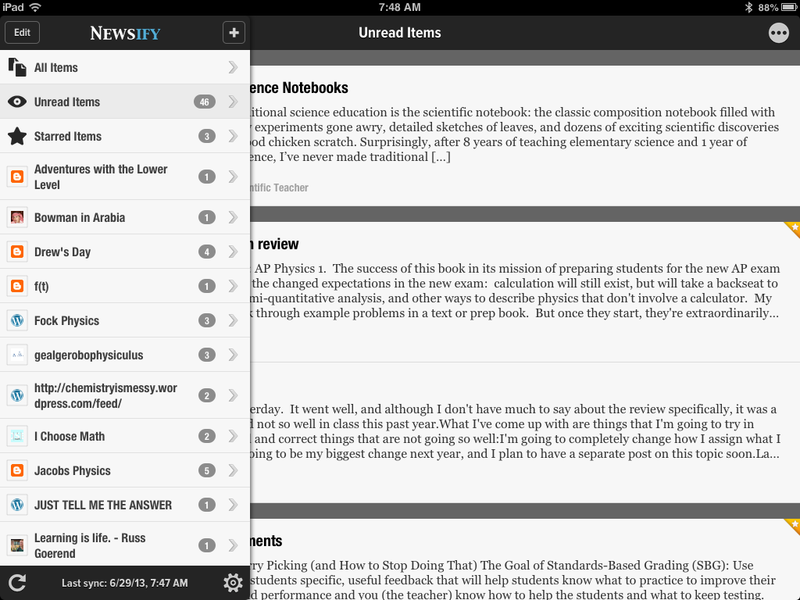 Most importantly, Newsify and gReader play well with each other and stay synced so I can easily read, star, and share posts from both my Android phone and iPad. Be sure to move your feeds to Feedly before July 1st! Good luck! Shift from tracking by chapter to tracking by concept. Allow opportunities for students to show growth. Don’t grade homework and practice. Provide timely and effective feedback. Spiral concepts throughout the curriculum and your assessments. Give shorter, more frequent quizzes. Provide clear goals and expectations for performance. Encourage risk taking, failure, iteration, and experimentation. Do what works best for your students and your situation. Project Work: Group or Individual? @fnoschese awesome! do Ss have to submit proposals for their project before hand? is it group work or individual? For the last several years, I’ve allowed students to work together in groups on their end-of-year projects (a self-designed lab investigation). The rationale was that students would be able to do much more complicated experimental designs with two, three, or four people than with just one. But in the end, I was never satisfied with how it worked out. Often the experiments were simple enough that they could have easily been carried out solo. Or two students actually did the project and then added the name of a non-contributing friend (or two) to the report. One solution I’ve tried is to require individual reports. 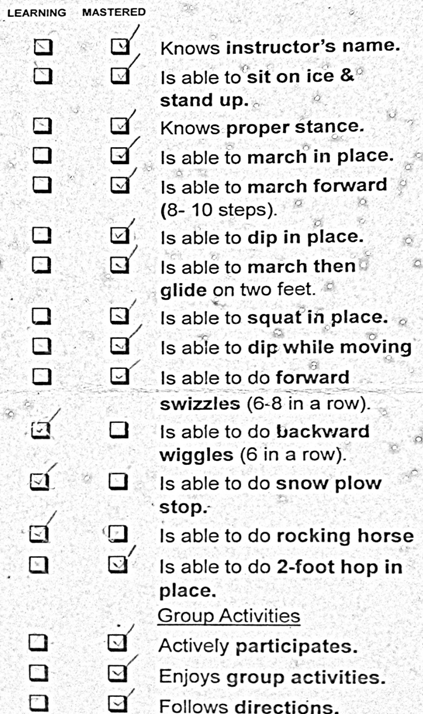 This usually ends up with group members submitting identical “individual” reports. Which leads to phone calls, discipline, cries of “I didn’t know we couldn’t do that.” etc., etc. It’s a battle I don’t enjoy fighting, so I don’t find this solution to be successful for me (though your mileage may vary). This year, each student must do their own unique investigation. All students are now fully immersed in the experimental design process. Sure, some of the experiments require an extra pair of hands, but students have been enthusiastically helping each other out. Jack might be the cameraman for Jill’s terminal velocity experiment. And then Jill might release the cart at the top of the ramp for Jack’s conservation of energy experiment. Some students have stated that if they work together to collect data, then they should both be able to analyze that data for their projects. My response to this is that they must have unique data sets. 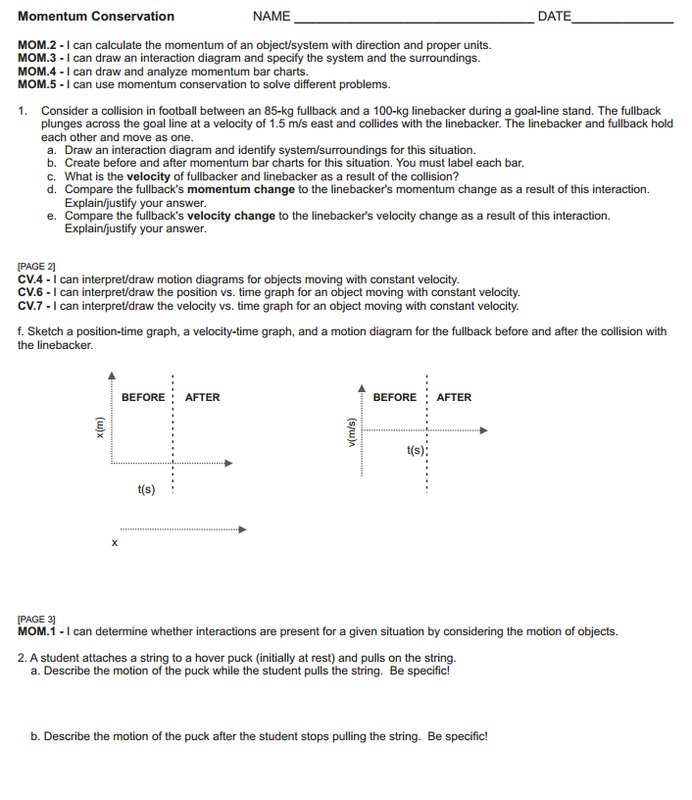 Take Jill’s terminal velocity experiment. She’s looking at the effect of mass on terminal velocity by dropping nested coffee filters. 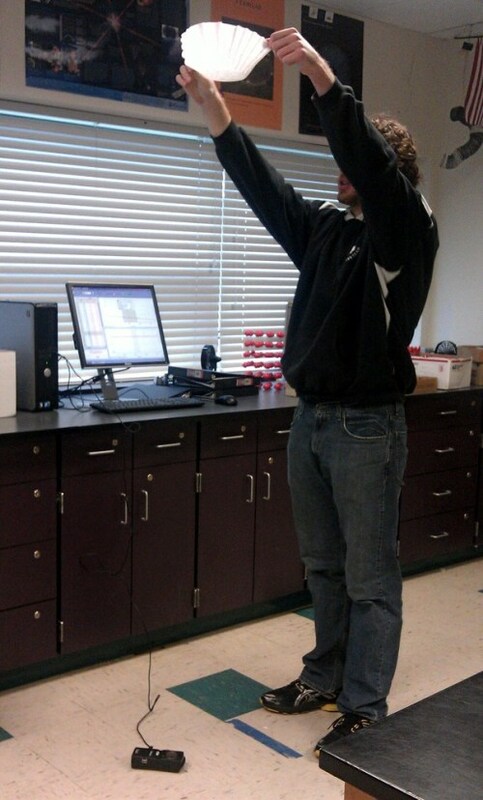 Jack is using a camera to film the falling filters so Jill can analyze the videos in LoggerPro. Now Jack is not allowed to use Jill’s data, but Jack could investigate the effect of surface area on terminal velocity or simply repeat Jill’s experiment using jumbo coffee filters or cupcake wrappers instead. And in the end, Jill and Jack can compare conclusions and come up with a mega-conclusion that ties together both experiments. Sometimes, however, the project work must be done as a group because that’s the only feasible way. 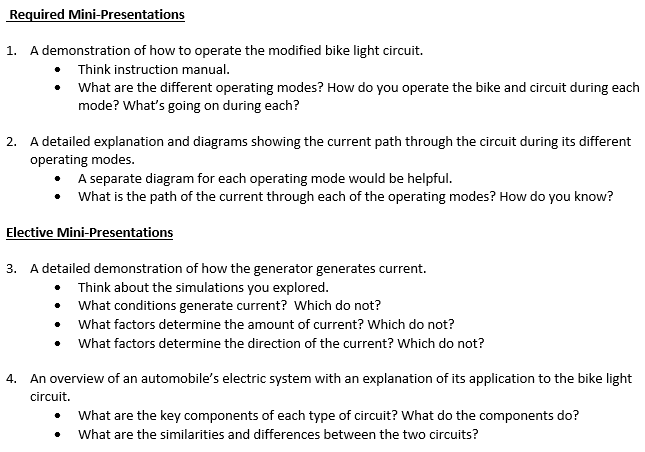 I had to do this in my Conceptual Physics class this year for our model defibrillator circuit project and our modified bike light generator project. I did not have enough equipment (or storage!) for each student to have their own circuit kit or bicycle. 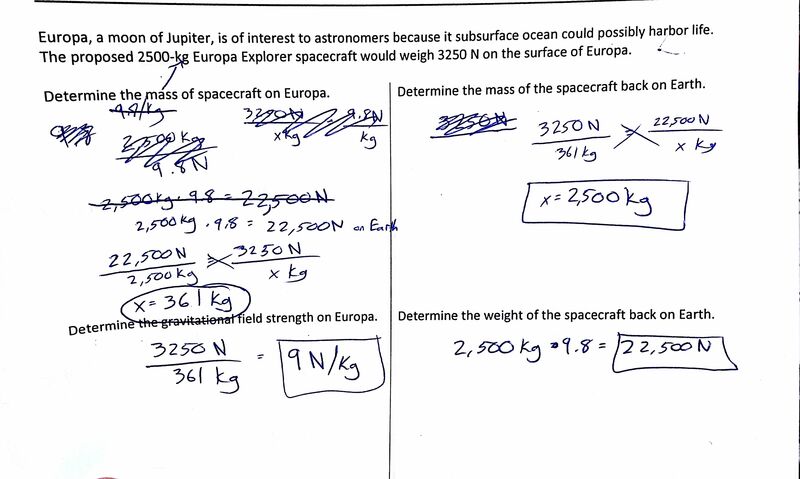 Both of these projects came from the Physics That Works curriculum, and I used their solution to this problem of group project vs. individual work. The solution is that the project has two parts: a group component and an individual component. 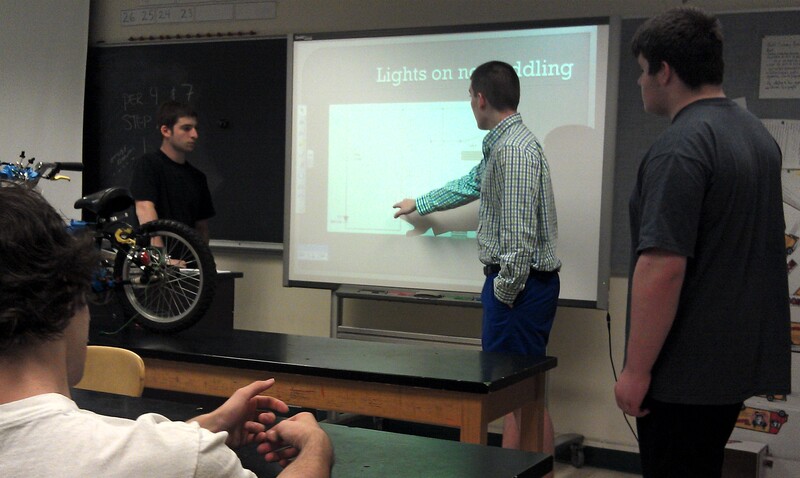 For example, for one project, each group had to modify a bike light generator so that the headlights would light even when the rider wasn’t peddling, yet wouldn’t add more batteries to the landfill. For the group portion of the project, students worked in groups to design and build such a circuit for their group’s bicycle. And everyone in the group received the same grade for that part (25% of the overall project grade). Ideally, the mini-presentations would be tied together in one large presentation for the whole group, but each student would only be graded on their contribution. What are your solutions to the group project vs. individual work dilemma? 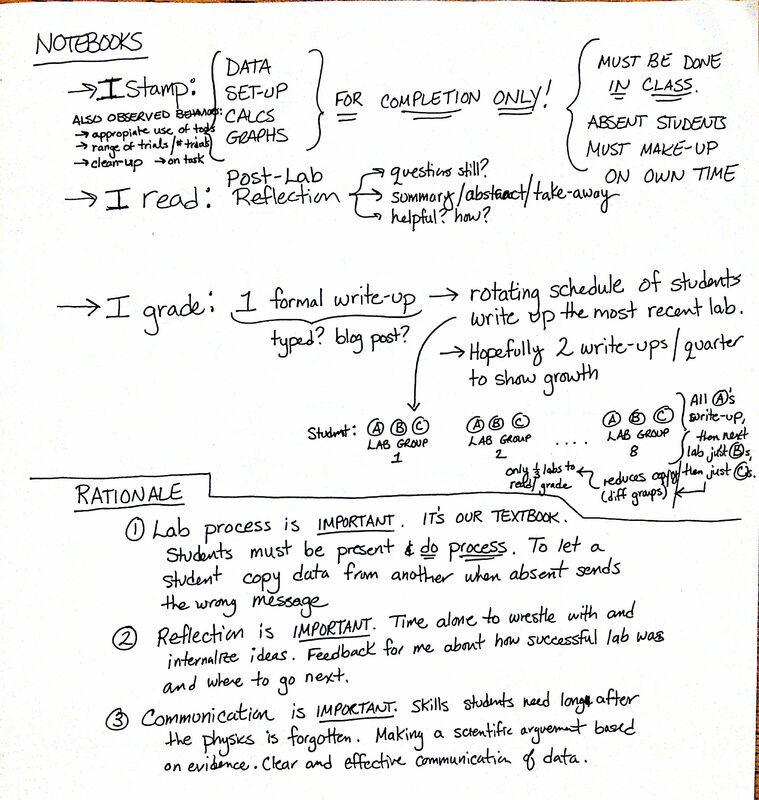 Labs, Notebooks, and Reports: For What Purpose? What’s your system for lab work? An “I-hit-publish-too-early” update: Of course, none of this directly addresses what I feel is the most important issue with lab work: how to assess the scientific inquiry process. I’m reminded of AAPT’s Goals of the Introductory Physics Laboratory and Eugenia Etkina’s Scientific Abilities.